The average refund in the second week of the filing season ended Feb. 8 was $1,949, down 8.7 percent from $2,135 a year earlier, according to IRS data released Thursday. WASHINGTON (AP) — The average tax refund and the total amount of refunds issued declined for the second straight week, potentially intensifying a political flashpoint seized by Democrats as proof that the Republican-written tax law hurts the middle class. Total refunds to date are down 23 percent to $22.2 billion, from $28.9 billion last year. 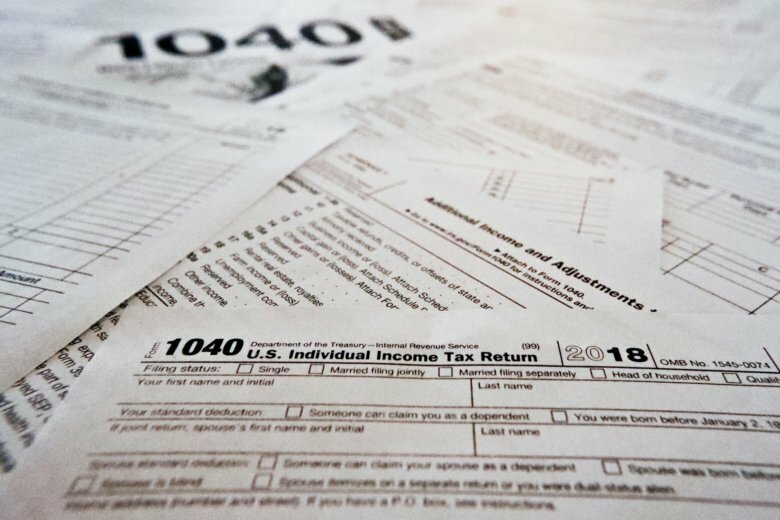 The decline may be largely due to how some employees and employers had adjusted the amounts withheld from paychecks to account for changes under the new tax law. Most taxpayers received a tax cut under the law but some may have had too little withheld, resulting in a smaller-than-expected refund, or even money owed to the government. Refunds become an annual check that some three-quarters of U.S. taxpayers typically count on. For some lower-income households, it is the biggest cash infusion of the year. The Treasury Department believes around 80 percent of taxpayers will see a decrease in their tax bill this year, while about 15 percent will owe roughly the same amount. Fewer people are expected to receive a refund this year. Government officials say that doesn’t reflect rising or falling tax liability. Social media posts have flared as early filers adjust. Public discontent is providing Democrats with fodder for criticism of a tax overhaul they say is beneficial mostly for big corporations and the rich. Sen. Charles Grassley, R-Iowa, chairman of the tax-writing Senate Finance Committee, said Democrats are “obsessed with finding anything they can manufacture to declare this filing season a failure” for the new tax law. “Never mind that the current refund numbers are based on only a few days of data or that refund statistics can vary widely from one week to the next,” Grassley said Wednesday on the Senate floor. The Finance Committee’s top Democrat, Sen. Ron Wyden of Oregon, suggested the Trump administration may have schemed to inflate paychecks with the new withholding tables for the tax law, exposing taxpayers to negative surprises as a result. President Donald Trump vowed that families would receive an average $4,000 tax cut. Most taxpayers did receive a tax cut. But because of how some workers adjusted the amount of money withheld from paychecks to account for the changes, some refunds have been smaller than anticipated.